Private lessons are designed to focus on individual dance skills. It gives you personalized attention needed to perfect leading or following and to polish your dance style at the dances you desire to learn. Group classes are also important in the process of learning how to dance because they give students varieties of patterns, technique and styles in different dances. Group lessons are offered in different levels, where students can relate and socialize with other people with similar dance experience. Practice sessions are offered twice a month and they are the most relaxed, and fun sessions, where students can utilize everything they have learned from private lessons and group classes. Practice sessions are the real experience, where you learn how to dance with other people on the dance floor, identifying music with a dance style and maneuvering around the floor. They are design to build your dance confidence and to enjoy the art of body movement. Dancing at your reception is a lovely way to bring an air of elegance and family togetherness to a wonderful happy and joyous occasion. Traditionally, the bride and the groom will be the first to dance to their special song. Now days, style and the music has evolved into so many different ideas. Some wedding couples prefer to follow the tradition and some go for totally new and modern dance look. Ballroom Dance Center Iliana is here to help your dance dreams to come true. 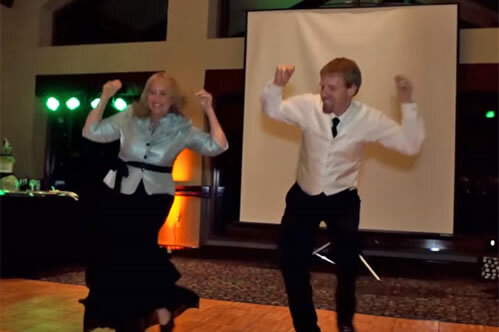 Wedding party dances are also very popular. You can do anything that you desire to make this day last forever in yours and your guests memories! 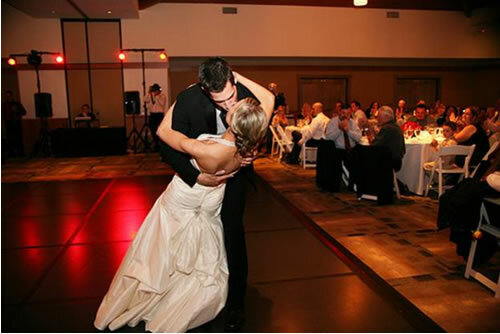 Ballroom Dance Center Iliana offers different programs and varieties for your special day! Ballroom Dance Center Iliana offers Gift Certificates for different occasions as Birthdays, Mother’s day, Weddings or any Holiday. It is a great idea if you would like to surprise someone or just to start a new hobby. GIFT CERTIFICATES ARE AVAILABLE AT THE STUDIO, FEEL FREE TO CALL ANY TIME WHEN YOU NEED ONE. For transportation in Buffalo, Western New York or beyond, there's no better choice. Whether it's a wedding, corporate event, night out on the town, or a spontaneous get together, there's no better way to enjoy the road and all the experiences that come with it. Dao Yin Yoga is a series of gentle yet powerful movements and body postures activating and balancing the internal energy. This style yoga relates to Taoist theories of health and well being resulting in rejuvenation of the body and calmness of the mind. The rewards of regular practice include strength, flexibility and endurance. Dao Yin means “the way”. It has been practiced by Taoist mystics to heal illness, reduce stress and slow the aging process. It is suitable for all ages and levels of fitness.